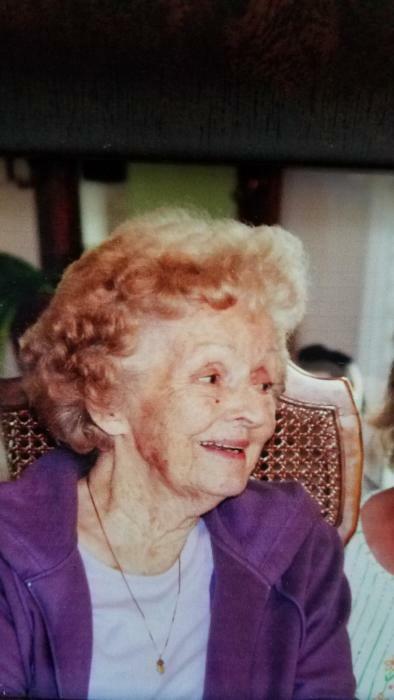 Annie Culberson Mencey, age 97, of Wallace left this earthly life for her eternal rest on February 11, 2019. She was born on November 7, 1921 in Chatham County, North Carolina and was the daughter of the late C.A. and Annie Core Culberson. She was also predeceased by her daughter, Yvonne Kay Mencey. Surviving is her devoted children, Kenneth W. Mencey and wife, Maria of San Antonio, Texas, Robert "Bob" Mencey and wife, Sherri of Wallace, North Carolina and Carol Prevo of Pompano Beach, Florida; grandchildren, Tammy Mencey Hernandez, Kenneth B. Mencey, Shana Maddox, Debbie Wilson, Tammy Prevo, Michael Prevo; nine great grandchildren and four great-great grandchildren. Graveside funeral service will be announced.